Initially seen as a nuisance variable, the placebo effect has been widely recognized as a distinct determinant of health in a number of different diseases and conditions. Some of the popular theories explaining the placebo effect are a “regression to the mean,” “expectancy theory,” “classical conditioning” theory, “context effect,” “meaning response,” and learned response theory. 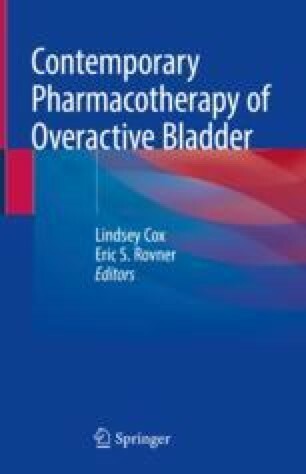 The effect of placebo in overactive bladder syndrome (OAB) has been examined from a number of different perspectives. It has been postulated that conservative treatment options, which include keeping a bladder diary and counseling about fluid intake and receiving education about the storage and voiding phases of the micturition cycle, have significantly influenced improvement in patients’ symptoms. Two large meta-analyses examined the placebo effect in OAB. Lee et al. showed that individual studies utilized two approaches to try to manage the placebo response: the first approach was to enroll more severely affected patients, and the second approach was to use a larger study size to decrease the placebo response. Magnera et al. found that placebo led to a statistically significant improvement in four out of five commonly reported OAB parameters. Neither study could determine which definitive factor played a significant role in their findings. The placebo effect plays a significant role in the treatment of OAB. This stems from the fact that treatment of OAB is complex and involves significant behavioral and physiological changes. While placebo effects have a greater impact on subjective versus objective outcome measures, they seem to significantly influence both in OAB.